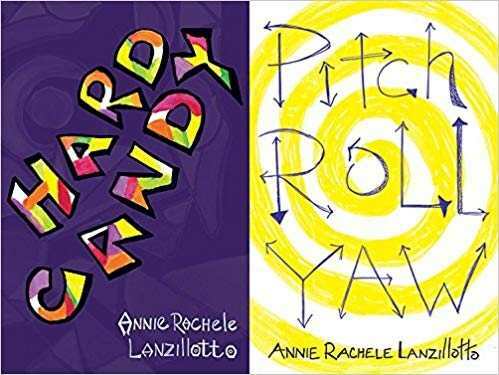 Hard Candy / Pitch Roll Yaw is a flip book with 2 poetry collections facing each other. In Hard Candy Annie Lanzillotto offers poems and prose of caregiving and mourning in the relationship between the poet and her mother. Pitch Roll Yaw is organized into fourteen stations each beginning with a See, Saw poem -- one line of two phrases separated by a fulcrum: comma, caesura, spondee, dash, or backslash, with a quick shift in weight and change in meaning. Each station is unified by theme or form.